The almost 40-meter (130-foot) tall structure is a combination of a belfry and a clock tower. 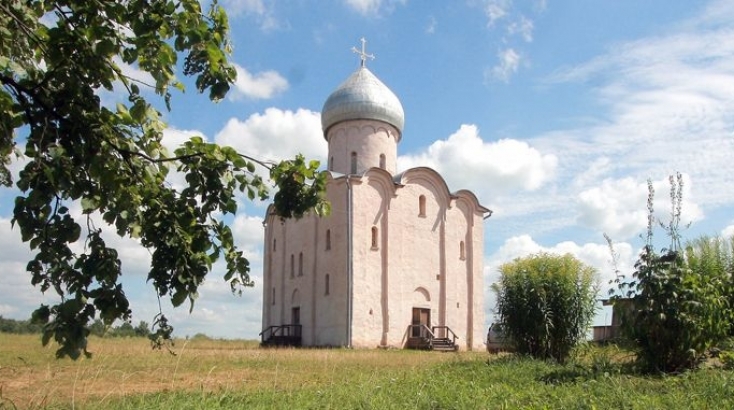 Next to the tower there is the Church of Sergius of Radonezh, the only building in the Russian northwest constructed over a gateway that was preserved till these days. 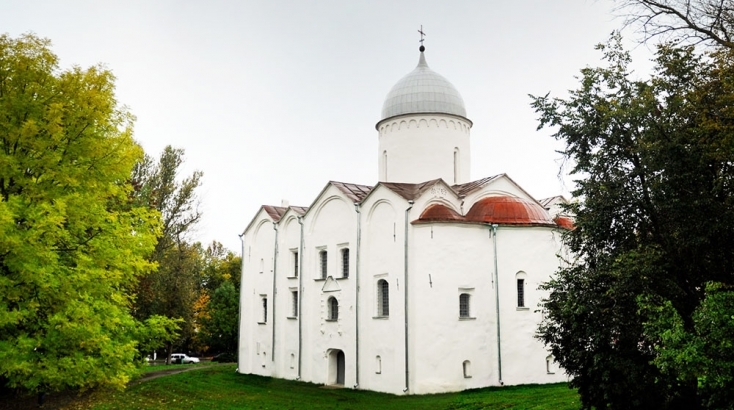 Built in the south-eastern part of the Kremlin in the late 15th century, the church was erected replacing the stair tower of former gigantic Sts. 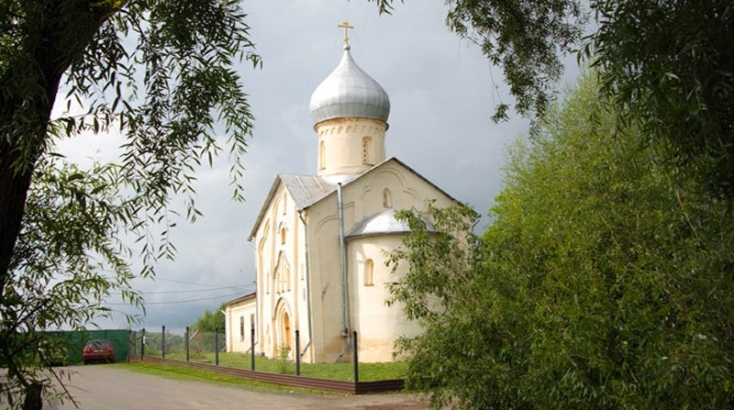 Boris and Gleb Church. 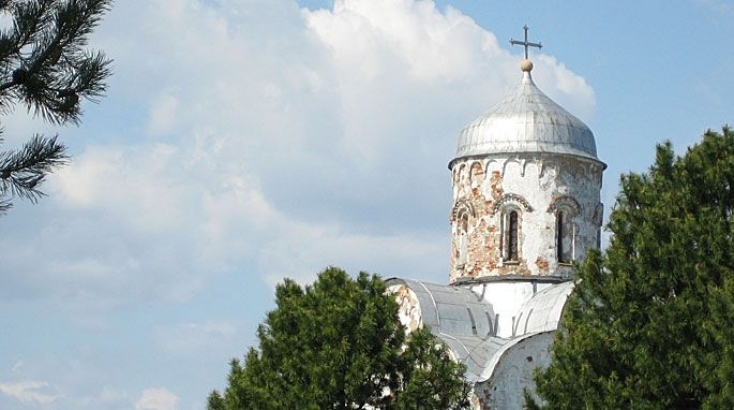 The church was built in 1207 with the money of foreign merchants and consecrated in the name of St. Parasceva the Friday, because she was believed to be the patron saint of trade. 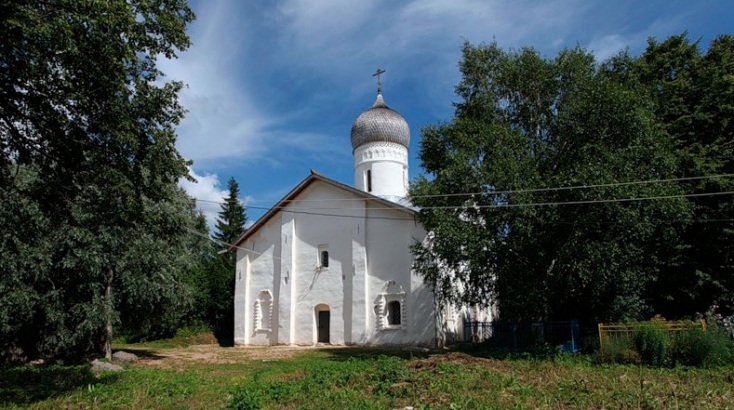 This church was built in 1356 replacing a wooden church with the same name. The lower part dates back to the 14th century. 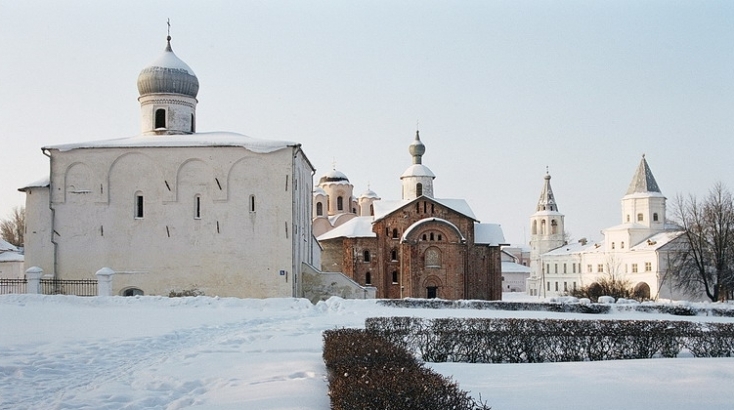 Founded by Prince Vsevolod in 1135 after Novgorod troops were defeated by the warriors of Suzdal. The church included a Merchant Court that heard litigation on various commercial issues. The standards of weights and measures were also kept there. 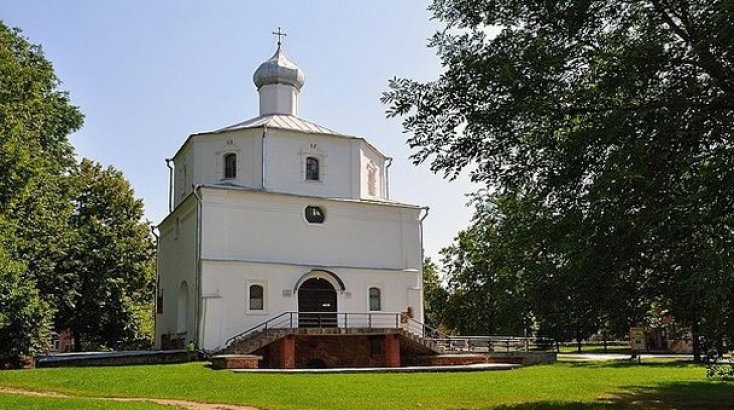 Due to an amazing temple acoustic in a concert hall, the church is perfect for holding classical, academic, sacred concerts and folklore programs. 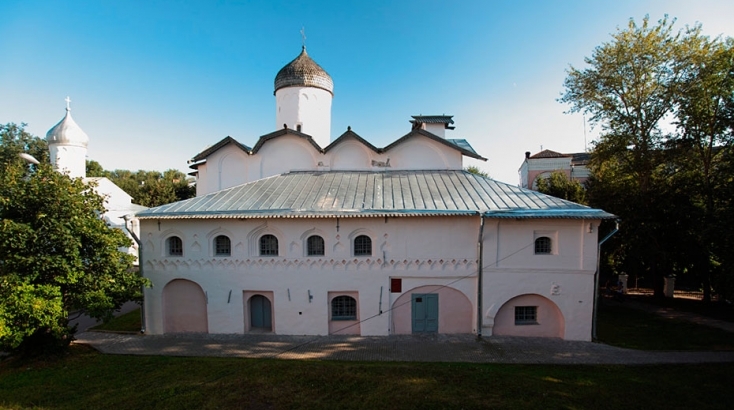 Stylized, yet graceful architecture of this building includes a distinctly Moscovite decorative pattern on its facade. 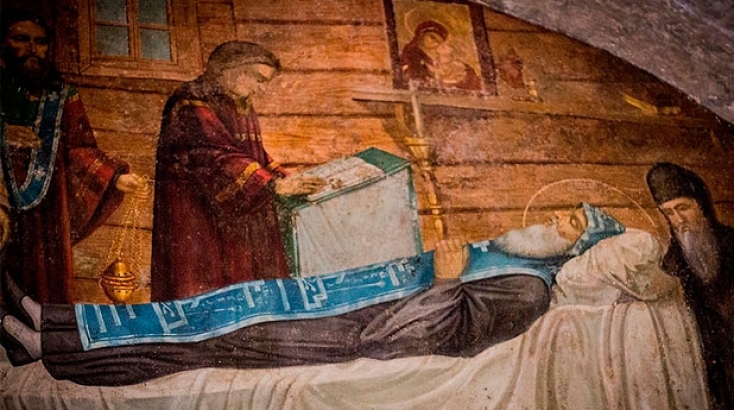 It is the only church in the world that has managed to preserve the frescoes by Theophanes the Greek who painted about 40 churches. 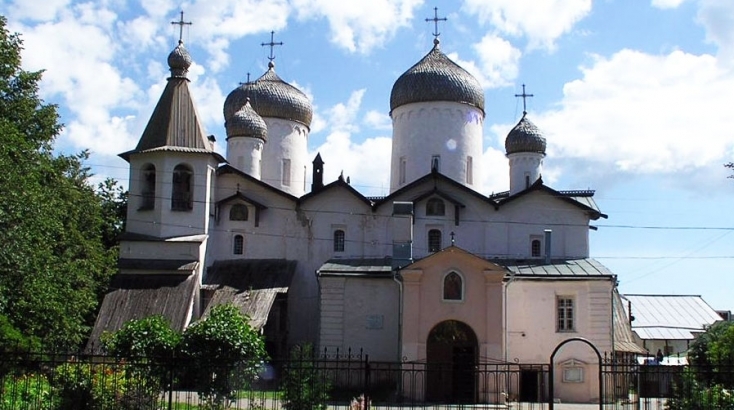 The two churches were built in 1526 on Noutnaya Street by Novgorod and Moscow merchants on the site of an older, 14th century church. 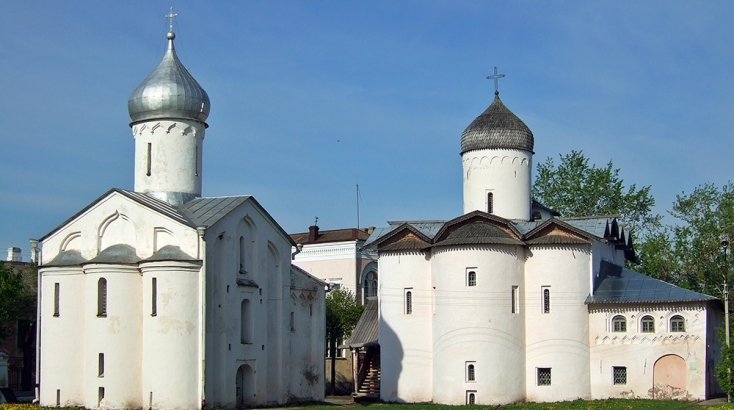 This remarkable monument of Novgorod architecture was built by a nobleman Simeon Andreevich. The building served as a model and inspiration for the next generations of architects. 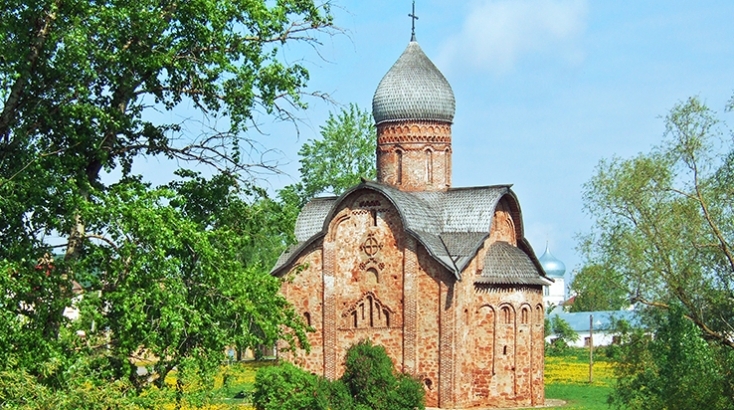 This marvellous church has a distinctive mature architectural design. It is a fine example of the architecture of the early 15th century. 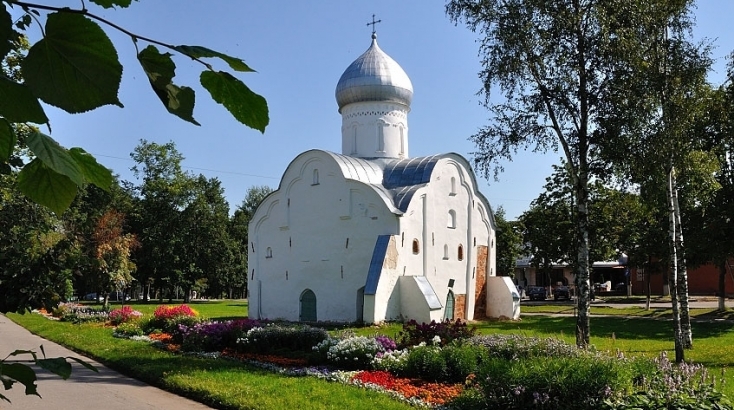 This is a marvellous church which is distinctive for the mature architectural design. 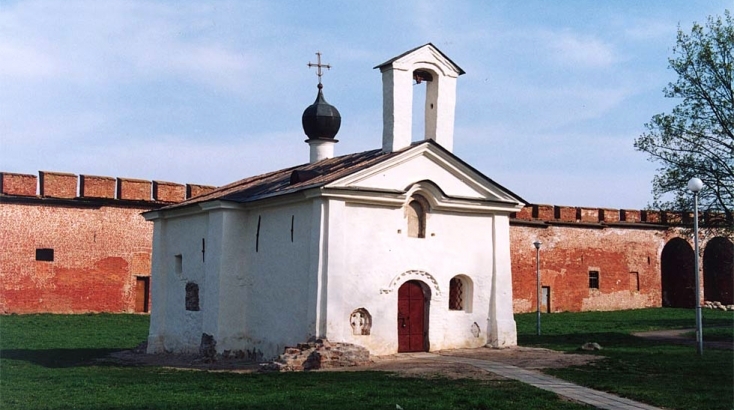 The two-tier miniature Church of St. Simeon the God-Receiver (1467) is located on the territory of the former 12th century Zverin cloister. 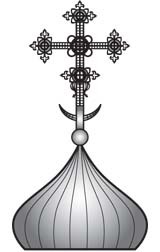 The Christian cult of St. Blaise ("Vlasiy" in Russian), the patron of cattle, is the evolution of the ancient pagan cult of god Volos or Veles. 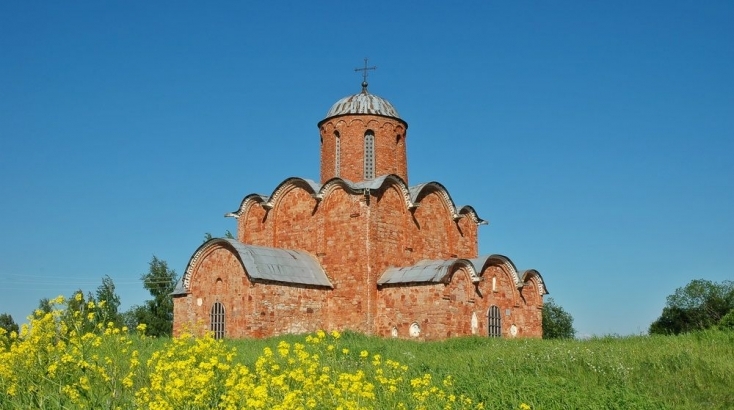 It is likely that in pre-Christian times the place where the church is today was the site of an idol of Volos. 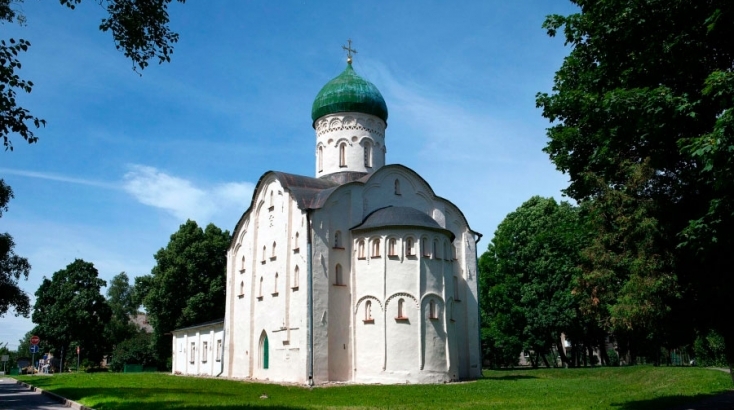 Nowadays the small church with exquisitely fine proportions is one of the finest examples of 15th-century architecture. 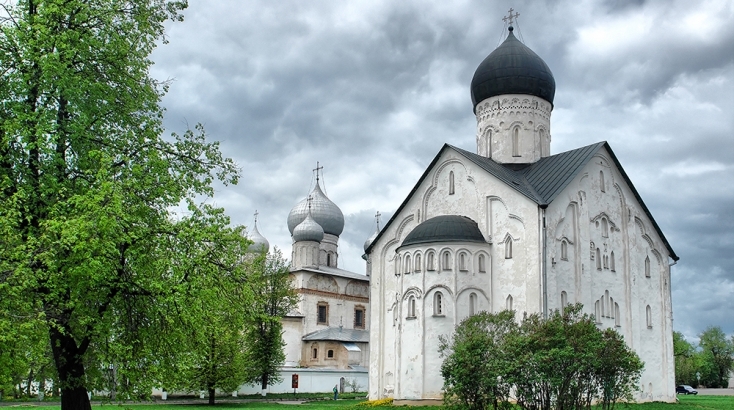 Built in 70 days, by order of Novgorod Archbishop Ilya. 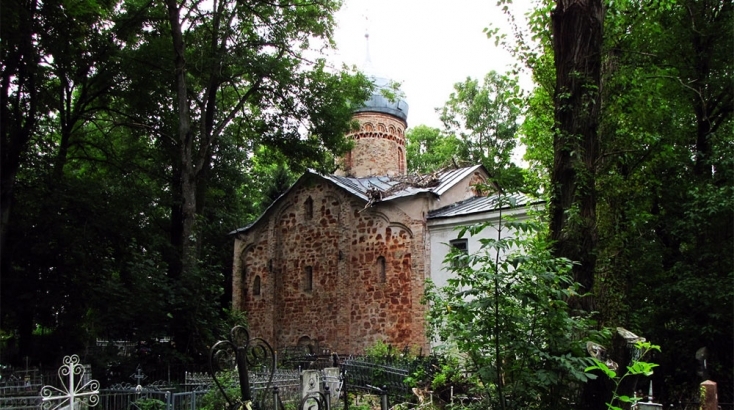 The church didn’t belong to Arkazhsky monastery that arose later. The name appeared due to the nearby village Arkazhi. 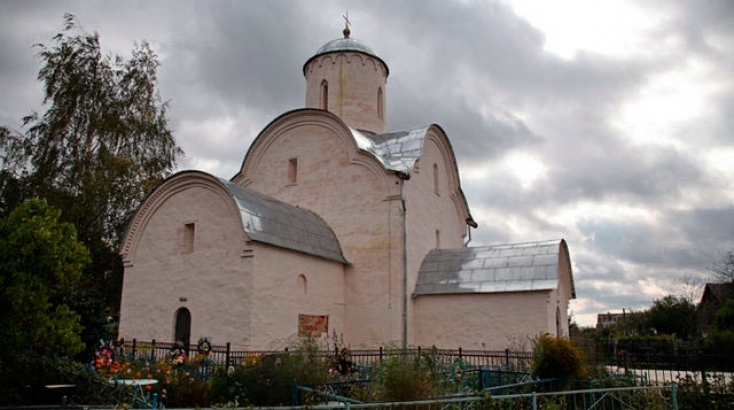 According to the legend, in the 12th c. the icon healed Mstislav the Prince who later on ordered St. Nicholas Cathedral – the prince’s cathedral in Yaroslav’s Courtyard - to be built. 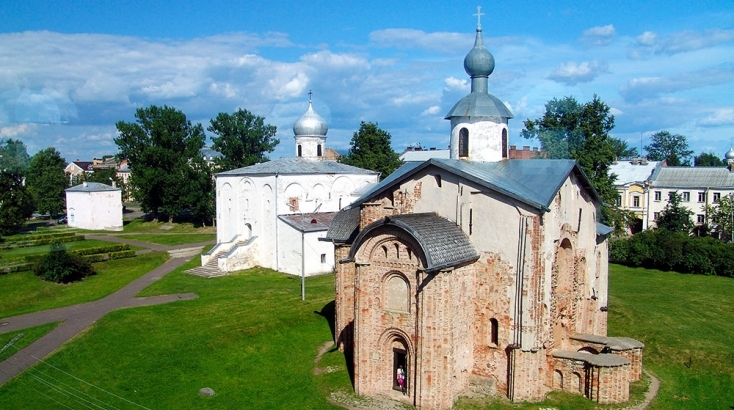 The monastic church of the construction typical in the 14th c. The original look of the church and unique frescos of the 14th c. have been preserved till these days. 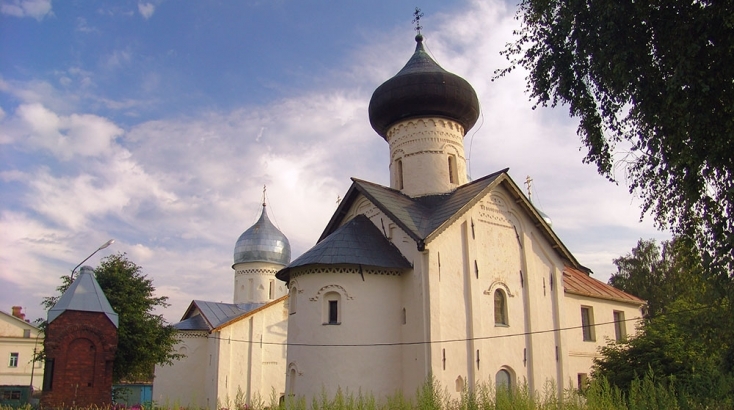 The church got world-wide renown not only for its architectural merits, but also for the unique frescos of 1363. 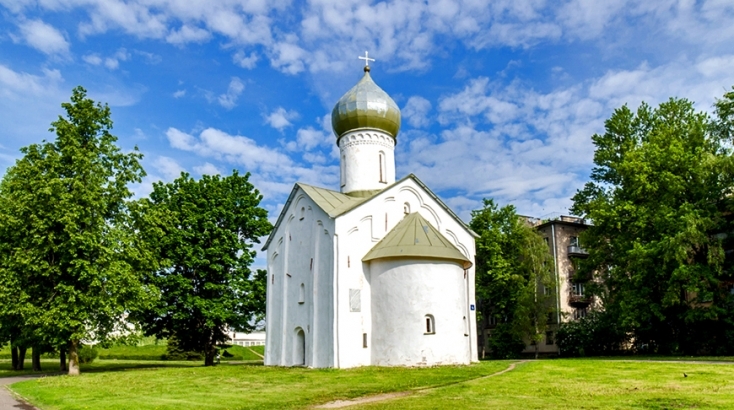 The church was built in 1345 by the order of Novgorod boyar Ontsifor Zhabin and for a long time it was the cathedral (main) temple of the Cloister of the Transfiguration of Our Savior in Kovalevo. It was frescoed in 1380. 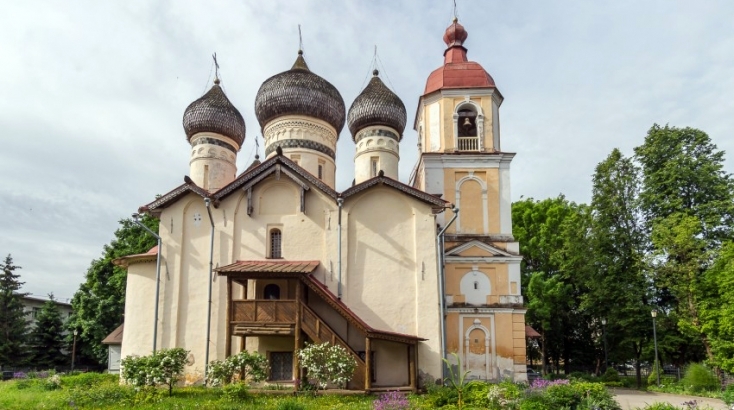 This world famous church is the only extant building of the former small Nereditsky cloister, where there is the village of Nereditsa today.